Happy St. Patrick’s Day! Patrick is a saint I dearly love. For those of you who don’t know anything about this fellow except that that he’s associated with Ireland and you should wear green on his feast day, you are missing out. He had quite an extraordinary life, which you should read about sometime. Here’s a short version. As a boy, he was kidnapped from his home in Britain by Irish raiders and made into a slave. His job was tending sheep on a cold hillside where he was rarely warm enough and rarely had enough to eat, and his only companions were the sheep in his care. So, he explains in his book Confessions that God became his friend and his constant companion. One day, he had a dream in which God told him to get up and go to the coast and catch a boat home. And he did, and he made it home, but soon he began having dreams of Irish people begging him to come back to them to teach them about the Lord. So Patrick studied to become a priest, although he had a lot of catching up to do with his education, which had been cut off by his kidnapping. 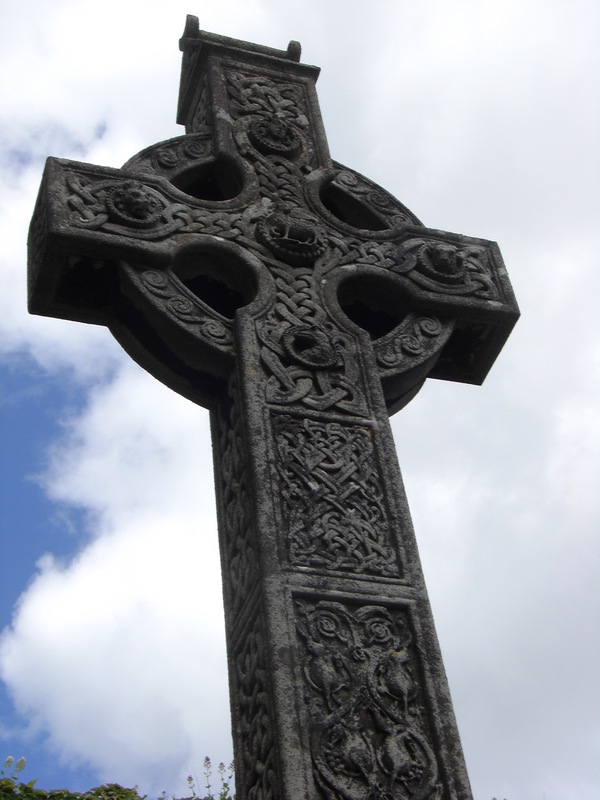 And after he was ordained, he got permission to go to Ireland, where he was a very successful missionary. Of course, there’s more legend than truth about him, but the surviving documents that he wrote show him to be an extraordinarily compassionate person, and one who truly knew what it meant to trust the Lord. This lovely prayer is attributed to St. Patrick, though it probably wasn’t written by him. It always blesses me.